I was contacted by GoScratch It to review some of their nail wraps and was super excited because I have actually never tried any type of nail wraps or stickers before! I let them know which ones I'd like to try and they arrived about a week later! 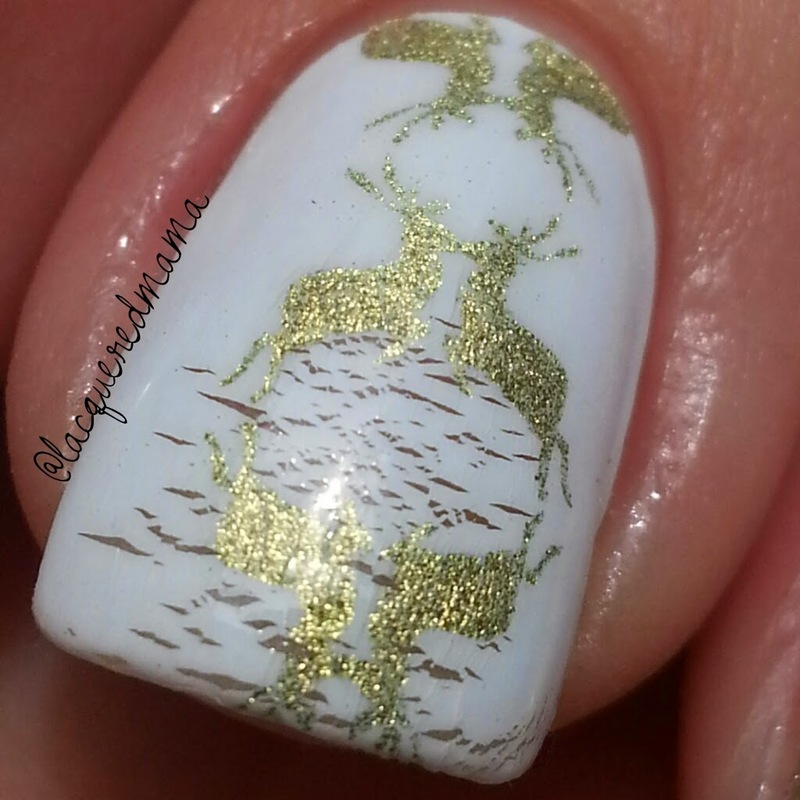 I chose Dear Gold, I Heart U because I loved the simple design and adore white and gold together. On the back it states to visit their website for instructions ( http://www.goscratchit.com/pages/instructions). Now this wasn't an issue for me, but there may be some people who don't always have Internet available to them, so I would think it would be helpful to just have a little pictorial or written instructions included or printed onto the packaging. Obviously if you've used them or similar products before, you probably wouldn't need them though. Following the instructions to a T I dove in head first. I buffed and cleaned my nails and proceeded to place the wraps. I feel like my nails beds are of average size, but I ended up having to use all of the wraps on the small end. I had a bit of an issue where they fit perfectly in line with my cuticle line, but then didn't completely cover both sides near the tip. I'm guessing this isn't really a product fault, just depends on a person's nail shape. Aside from that, they really went on easy; though I placed the one on my middle nail a tad crooked..lol. After removing the leftovers from the end and getting them completely smooth, I finished by adding my topcoat. And this is where I had major issues. 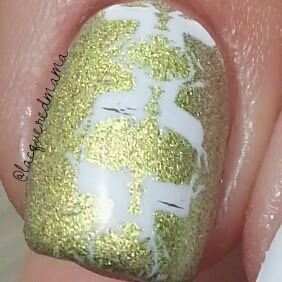 I don't know if it was because I added topcoat at all, or of it was because it was fast drying topcoat, but it sort of broke the wrap down and left cracks in all the white based ones. The gold bases were completely fine, but there were little cracks in all of the white parts of the design. The instructions say to add topcoat for longer wear, so I'm not sure where I went wrong. I opted to remove and redo them, this time without topcoat. As you can see, they look great! No problems and they had no cracking. You can check out their store at www.goscratchit.com or follow them on instagram to keep up with new releases.